As I mentioned the other day I don't tend to do full reviews whilst I'm on holidays. Today, and for the next few days, I'm going to make an exception. It's not everyday you come across 6 (yes SIX!) new countries to check off my list and add to the Macro Lager segment. 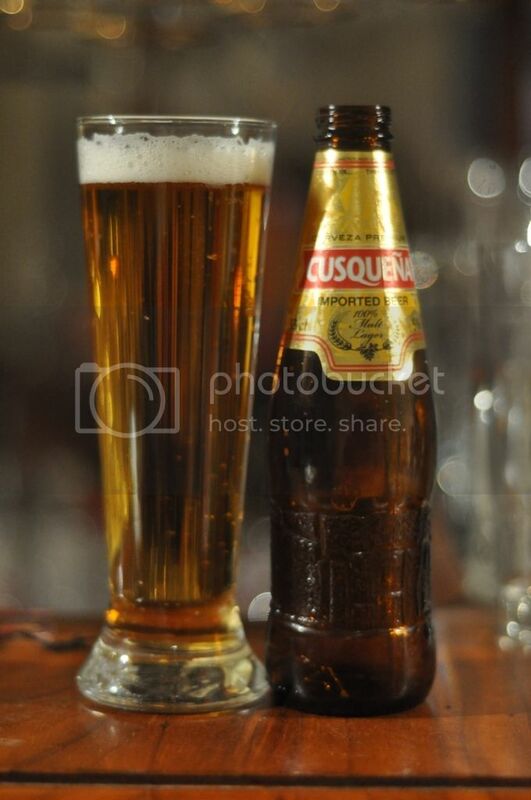 Morocco is the first cab off the ranks with their biggest selling beer Casablanca, named after their largest city. Morocco is a predominantly Muslim country in North-West Africa with a population of around 34 million people. Beer has been brewed in Morocco since the early 20th Century after the French arrived. Brasserie de Maroc, who make Casablanca, are owned by Heineken and have breweries in most of the major Moroccan cities. The beer pours a clear, light golden colour with a head of small white bubbles on top. The head is about 2.5 fingers high in the Teku glass, but fades quickly to only a small layer of film on top of the beer. There is no lacing left behind to let you know there was once a beer in your glass. On the whole it's a slightly below average looking lager. Thankfully the nose passes my lager test, it's not offensive. It's actually quite a weak nose with some light graininess and a hint of apples the only things I can detect. The main thing is that it doesn't smell awful, that it doesn't smell of anything much at all is almost a bonus. Hopefully the taste is as successful! If I'm being honest, it tasted better than I thought it would. 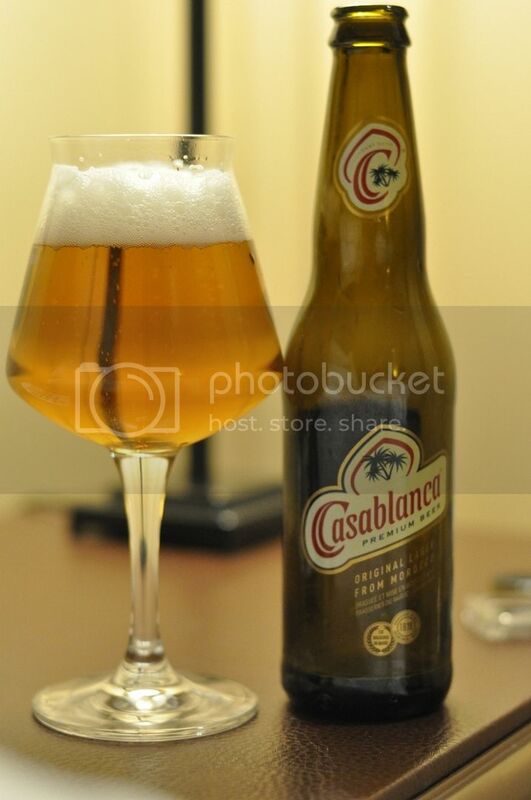 Casablanca is quite a light bodied lager, which suits the quite light flavour profile well. There were some relatively boring grains at first with just a hint of astringency. The hops were used sparingly but there is a little bit of citrus and floral hops at the back end. The finish is crisp and dry. Casablanca is certainly not the best lager you're ever going to have - nor however will it be the worst. It actually has a certain charm to it, with it's very light body perfect for Summer. In Morocco there are 3 beers produced locally, this, Stork and Speciale Flag. If you're in Morocco I would try the other two first and then if they are not great, this would be a reasonable fall back position; it'd be perfectly enjoyable lying on a beach in Morocco in blazing sunshine.